Yes. You read that correctly. You can win a trip to the Duncan Hines Test Kitchen. And guess what? I am going too! I am part of the Passionate Bloggers Campaign and I will be flying to NJ in September to meet ONE LUCKY WINNER. I love Duncan Hines products and being a part of their Passionate Bloggers program has been fun so far! 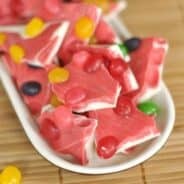 I’ve seen people making Jelly Bean Bark using white chocolate and jelly beans (on Pinterest). So I thought I would kick it up a notch by adding in a packet of Duncan Hines Frosting Creations FRUIT PUNCH flavor mix to my white chocolate. OMG it turned out so delicious! If ever given the choice in a candy aisle, my kids know I always choose a fruity, chewy treat (Skittles, Mike & Ikes, Starburst, etc). But it’s hard to bake with these kinds of treats. Nobody usually wants to bite into a cupcake and find a gummy bears in the center. But adding fruity chewy candy with white chocolate? GENIUS. It turns out that it tastes absolutely amazing. And with the swirls of fruit punch flavor with the white chocolate? Seriously, no words. This would be a super easy treat to make for a classroom party or Easter baskets. Kids can totally help on this recipe! 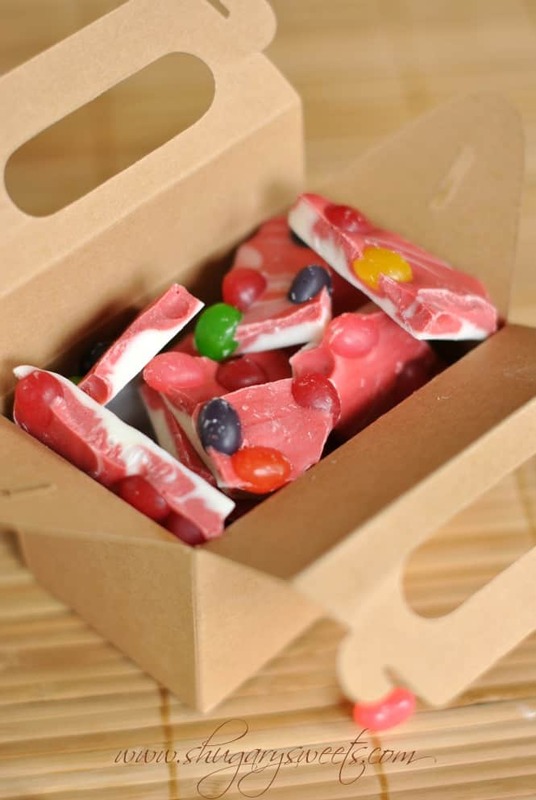 So let’s go with Jelly Bean Bark, cool? Melt vanilla candy coating according to package directions. Pour all but one cup onto a parchment paper lined baking sheet. Mix in fruit punch flavor pack to remaining cup of vanilla coating. Pour over previous candy coating and swirl with a knife. Spread as thick or thin as you like. Sprinkle immediately with jelly beans! Allow to set (about 30 minutes). Break into pieces and store in covered container. ENJOY. Now. For the giveaway!!!! This is going to be so much fun, so be sure to do as many entries as possible! I’d love to meet you. Official rules below, following the Rafflecopter entry. **Shugary Sweets is part of the Duncan Hines Passionate Blogger campaign. In exchange for this post, I have received compensation and product. However, all opinions are 100% my own! Open to U.S. residents only. Must be 18 years or older to enter. Giveaway ends at 12:00 AM on Monday, April 1, 2013. Winner will be notified via email and will have until end of day on April 3, 2013 to respond, or a new winner will be chosen. By submitting a Contest Entry, entrant hereby grants permission for the Contest Entry to be posted on Facebook or other websites. Contest Entrant agrees that Released Parties are not responsible for any unauthorized use of Contest Entries by third parties. Released Parties do not guarantee the posting of any Contest Entry. ALL ELIGIBLE PARTICIPANTS ACKNOWLEDGE AND AGREE THAT ALL ENTRY MATERIALS SUBMITTED IN CONNECTION WITH THIS CONTEST ARE SUBMITTED ON A NON-CONFIDENTIAL AND NON-PROPRIETARY BASIS AND MAY BE USED BY SPONSOR, ITS AGENTS AND SUBSIDIARIES, FOR ADVERTISING AND PROMOTIONAL PURPOSES INCLUDING (BUT NOT LIMITED TO) IN CONNECTION WITH THE CONTEST. Potential winners will be notified via U.S. mail and/or overnight mail and/or email on or about (date) using the contact information provided at the time of entry. Potential winners will be required to sign an affidavit of eligibility and liability release and, where legal, a publicity release and a federal and state tax release and return same, properly executed within five (5) days of issuance of notification via regular U.S. Mail. Failure to return any or all documents fully-executed within the specified time period, Sponsor’s inability to contact any potential winner for any reason after a reasonable attempt, or if any notification is returned as undeliverable, will result in disqualification and a runner-up may be selected. PRIZES: One (1) Grand Prize: The winner will receive the following: a 3-day/2-night trip for the winner to Parsippany, New Jersey on 09/20/13 – 09/22/13 (travel dates subject to change by Sponsor, in Sponsor’s sole discretion), including a baking class with Duncan Hines chefs (“Event”), round-trip coach-class air transportation for winner from a major airport(s) near winner’s residence to a major airport near Parsippany, New Jersey (airports selected by Sponsor), standard hotel accommodations for winner (single room/double occupancy; hotel location and other accommodation details determined by Sponsor), ground transportation to/from airport and hotel and hotel and Event. Approximate Retail Value (“ARV”) of the Grand Prize: $1,200. Actual value of trip prize depends upon the city of departure, time of travel, any airfare fluctuations and on current market conditions at time of prize fulfillment, and any difference between the stated ARV and the actual value if any, will not be awarded. Tickets awarded as part of a prize are subject to the terms and conditions stated on such tickets. See Travel Restrictions below. All taxes and any other costs not specifically stated within these Official Rules are the sole responsibility of the winners. Prizes may not be transferred, substituted or redeemed for cash, except at the Sponsor’s sole discretion. Sponsor reserves the right to substitute a prize of equal or greater value if advertised prize is unavailable at the time the prize is awarded. All prizes claimed will be awarded. Limit one prize per person. extension or substitution of trip dates is permitted, except at Sponsor’s sole discretion. Winner must confirm available travel dates and flight times selected by the Sponsor within five (5) days of prize notification. No extension or change of trip dates permitted. Sponsor will not replace any lost or stolen tickets, travel vouchers, certificates or similar items once they are in winner’s possession. If the winner lives within 100 miles of prize destination city, the air transportation portion of the prize will not be awarded and ground transportation will be substituted and no additional compensation will be provided. Each winner must comply with all Event venue, air carrier and airport, accommodations, ground transportation and other applicable rules and restrictions; failure to do so may result in forfeiture of prize. Winner must possess valid ID and are solely responsible for obtaining all necessary and required travel documents (passport, etc.) in order to travel. Sponsor, its affiliates, subsidiaries, divisions, advertising and promotion agencies, rbb Public Relations and Tenthwave Digital LLC (“Contest Entities”) shall not be responsible for any cancellations, delays, diversions or substitution or any act or omissions whatsoever by the air carriers, hotels or other transportation companies or any other persons providing any of these services and accommodations to passengers including any results thereof such as changes in services or accommodations necessitated by same. Contest Entities shall not be liable for any loss or damage to baggage. Prize components cannot be used in conjunction with any other promotion or offer, and no portion may be separated except at Sponsor’s sole discretion. Prize conditions may be added or modified by companies providing those portions of the prize. The prize restrictions/conditions stated herein are not all-­‐inclusive and may be subject to additional restrictions/conditions, which may be stated in the affidavit and release and/or prize travel documents. All fees and expenses not specifically included in the prize description above (including, but not limited to, additional ground transportation and airline expense, taxes, fees, gratuities, meals and insurance) are responsibility solely of winner. If Event and/or any other portion of a prize is cancelled or postponed for any reason, Sponsor will have no obligation to award compensation in lieu thereof, the remainder of the prize will be awarded and Sponsor will have no further obligation to winner. All other prize details are determined by Sponsor in its sole discretion. Sponsor is responsible only for prize delivery; not responsible for prize utility, quality or otherwise. Taxes and fees are the responsibility solely of winners. This is a dream come true trip! I’ve seen it on a few other blogs and I hope to gosh I win. Seriously. I’d looooooove to be there…learning more about baking from the experts! Hi!! I’m So Excited For The Opportunity To Go Into The Duncan Hines Test Kitchen!! I’m Also Very Excited FOr The Chance To Meet You, You’re So Creative. What an amazing prize! I would love to go to the Duncan Hines test kitchen! I’m Heather Lynne of Hezzi-D’s Books and Cooks and hope that I get to meet you in September! Love making Almond Bark candies and Duncan Hines. I love Duncan hines products; they are all I use! I think you already know me from OBC : ) What a great prize! I bet you are super excited about the trip as well. 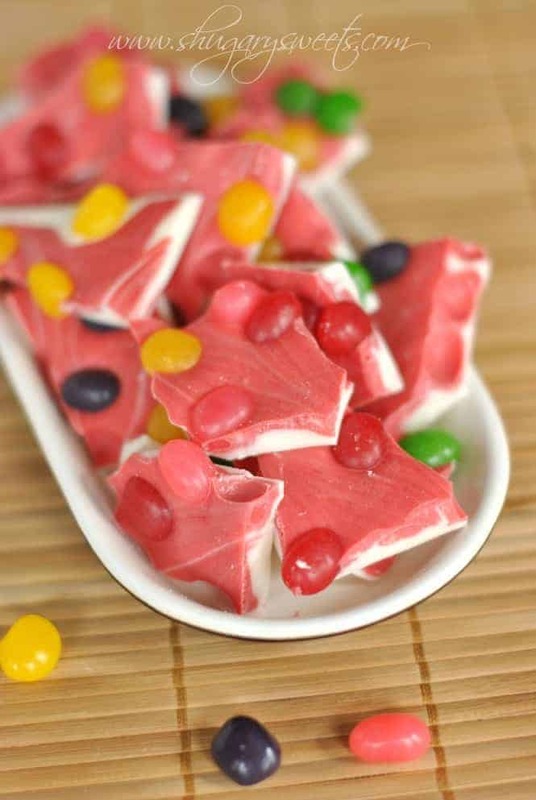 Oh and the jelly bean bark.. super cute! Have to make that with the kids. My fingers are crossed…I have entered every single giveaway for this trip. I so want to visit the DH test kitchen, and of course hanging with my blog besties would be a dream come true!!!! My kids would love this fun bark…hahaha I am cracking up over the unicorn poop name! I can just imagine the emails you would get!!! Entered, tweeted, pinned, liked and commented! Do I seem excited about this ? YES!!! What a fun trip this will be!! Your jelly bean bark is beautiful, Aimee! I love the jelly bean bark and the fact that you added the frosting packet, I would have never thought of that. This would be a great trip, I would love to meet you and the other bloggers going and it would be so great to visit the Duncan Hines Test Kitchens. I hope I win! Jelly bean bark? How cute! I’ll take seven big hunks in my Easter basket please 🙂 What a great giveaway too! I’d love this chance to meet you and to tour the test kitchen. How cool! 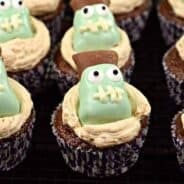 Hi, I am Kara and I love your fun recipes! I would love to win this trip! I used to live in Parsippany when I was younger (through 4th grade) and had no idea that Duncan Hines was in my hometown! I’d love to go visit my old stomping grounds as an adult and check it out! I would love to visit Duncan Hines and meet you. I follow your wesbite everyday and have tried many of your recipes. I can’t wait to make this bark for my daughter and her preschool class. I am a special ed teacher who makes most of your recipes for my class. Ummm…So hi. I’m Julie. I like long walks on the beach and chocolate chip cookies. 🙂 Thanks so much for the giveaway Amiee. This sounds totally wicked. I would freak to spend a weekend baking with you. Hi Aimee!! What a FUN trip this will be! I LOVE Duncan Hines and would love to see the behind the scenes. Yum, this sounds delicious! I’ll be making it for my niece for sure. Oh my gosh Aimee! This would be such a fabulous trip. Imagine how much can be learned and it would great to meet YOU!! I would love to meet you in New Jersey at the Duncan Hines Test Kitchen!! It would be a marvelous opportunity to get wonderful baking tips from one of my favorite people (you) and see the Duncan Hines Test Kitchen in action! What a great opportunity, and how fun would that be! I love to bake and think this would be so much fun, not to mention the fact that I would get to meet you! Love this bark, and the name you chose sounds perfect! The test kitchen would be a blast! This trip would be amazing! I am a stay-at-home mom in Ohio and make many of your recipes for my kiddos! Hi! I’m Melissa and I blog at Melissa’s Cuisine. I’d love a chance to win this trip! Hi, I’m Andrea! I love your site and you fun recipes. Thanks for the chance to enter. What a fantastic way to use up leftover Easter candy too! Thanks so much for the opportunity!! This bark sounds super tasty. 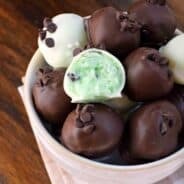 I’ve seen a bunch with just plain white chocolate and your addition of the frosting creations really kicks it up a notch! I like white chocolate, but I’m definitely more of a sucker for fruity flavors and chewy candies, too. Omg so you mean I could be weird in person instead of just weird on your comments?? COUNT ME IN. 😉 heehee. The idea to throw frosting creations into bark is BRILLIANT Aimee! So many possibilities now – and this Jelly Bean Bark is to-die-for-cute for Easter this Sunday. What an exciting giveaway! I’ve used Duncan Hines cake mixes, etc., forever. If you knew my age, you’d know that’s a very long time. 🙂 Sounds like something neat to check off my Bucket List! The jelly bean bark looks gorgeous! Thanks for the recipes and creative ideas. I love trying new things in the kitchen. And let me just say what an awesome trip. A dream come true! 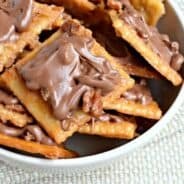 I love candy recipes and this one looks quick and delicious! What a faaaabulous giveaway!!!! How fun!! I am a wife to a wonderful man – it took me a long time to find him but I finally found him! 🙂 I am a mom to a very handsome 22 year old young man and a step-mom to 3 lovely young ladies – ages 11 and twins that are 9. I also am “mom” to a super adorable 11 month old yellow lab. I am a very lucky lady to have my own child plus the 3 I inherited through marriage. I hope I’m as lucky in winning this giveaway! This trip sounds so fun! I would love to visit their kitchen! I have been experimenting in the kitchen since I was little but I am new to the blog world! Somebody would have to pinch me if I got the opportunity to visit the Duncan Hines Test Kitchen! this would be awesome to win. I love to bake and have baked many of your treats. What a fun giveaway. I always enjoy your blog. Found you via pinterest. This looks so yummy! I love all the creative uses of these Duncan Hines frosting creations packs!! Love Duncan Hines always use it for my cakeballs….never disappoints! How awesome would it actually be to visit their test kitchen!! Great Blog! Great Recipes and Duncan Hines Test Kitchen would be a dream! Hello Aimee & Duncan Hines! Oh, how cool is this! What an amazing giveaway…not just the chance to see the Duncan Hines test kitchens, but to be able to learn from them and meet lots of other food bloggers! Wow, the Duncan Hines test kitchen. How awesome. I love Duncan Hines, even though I am the worst baker EVER! But I keep trying! this would be so amazing to win. How much fun it would be. Love this yummy treat! Wow I would love to win and go to Duncan Hines Kitchen and meet awesome dessert bloggers! That jelly bean bark is so colorful and fun! This is SOOO amazing! I have seen this on a few other fabulous bloggers pages and think it is just fabulous! A trip of a lifetime! And the chance to bake at duncan hines! OH EM GEE!! What a fabulous giveaway! Love the jelly bean bark! I just discovered your blog. Love! Hi! My name is Diane. I am a 47 SAHMAW (stay at home mom AND works!). I am a two time cancer survivor, 2 babies in heaven, a wonderful daughter adopted from Vietnam, an adoring husband, I have 30% lung capacity–as a result of the bone marrow transplant that I had to have to live and that slows me down a bit. I LOVE COOKING! I cocoon myself at home when illnesses are alive and well, so we spend a lot of time at home due to my immunosuppression. I am sooooo blessed by the Lord Jesus Christ in my life,…and feel like I have it all! I love this Easter bark, it’s so fun and festive and the perfect simple treat to make for Easter baskets. 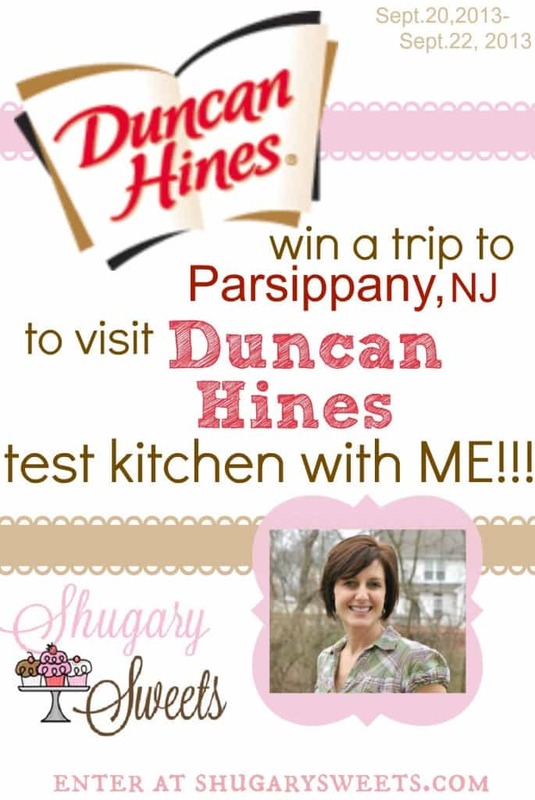 How lucky are you…getting the chance to go to Duncan Hines test kitchens??? I know you’ll have a blast. Wow….I would be so excited to win this trip! Duncan Hines has amazing products! YUM. I absolutely love candy bark of any flavor!! Love this idea! Hello everybody! I’m a 6th grade teacher in sunny Southern California. I’m always looking for deals, and looking for projects I could integrate into my lesson plans. I enjoy using Dunkin Hines every time I bake !! I’m Robin and I’d love to win this trip! Wow! Love the Jelly Sweets used in the chocolate! – Finishes it off with a lovely fruity taste! I can’t find the Duncan hines frosting creations packets anywhere anymore. I’ve made a few recipes with them, I love them! Do you know if they have been discontinued? Do you think I could possibly substitute unsweetened kool aid packet?